Chloe Silverman is an Associate Professor in the Department Politics at Drexel University and a member of the Science, Technology and Society Program. 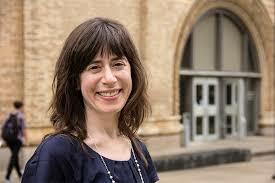 She works in three related areas, which inform her choice of research topics and the courses she teaches. Most centrally, she studies the role of affect in scientific knowledge, how public claims about affect are used to establish authority, and the role of affect as an analytic tool and method in science studies. The second area, the productive entanglements between so-called “lay” and “expert” knowledge, emerges from her work on affect, because the social movements that have engaged medical authorities and patient groups have almost always had an affective dimension. Third, she looks at the modes through which information about scientific practice—as opposed to scientific findings—is communicated to different publics. Discourse about what science is or ought to be shapes both peopleʼs reception of scientific information and their personal investment in science as a form of knowledge.